Donnellyn is a God-send! We drove 2 ½ hours one way for every appointment and the birth of our 4th baby, and I would do it all over again in a HEARTBEAT! 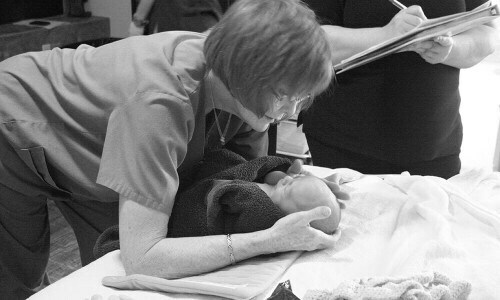 There were other midwives & birth centers closer to us, but we knew Donnellyn was the one, and trusted that everything would work out perfectly despite the distance. Deep down, I had always wanted a natural birth, but after 3 hospital births, I realized the kind of experience I desired would not happen in a hospital. I am so thankful the Lord brought Donnellyn into our lives and used her to bless us so deeply. When you meet Donnellyn and see her in action, it quickly becomes evident that she is not just doing her “job”, but that she is fulfilling her calling. Although her clients come from diverse backgrounds, cultures and lifestyles, there is a unique grace on her to be exactly what each of her girls and their families need her to be for them. Even some things we’d never talked about, she knew how to cater to our individuality in those areas. She makes everyone feel like they’re the only one, loving all and yet loving each distinctively. She was not just a care provider. She is a lifetime friend! The beautiful, calming, and comforting environment of the Birth Center. A friend (aka midwife) who holds your hand, speaks the Word over you, prays over you, encourages you in your God given design to bring forth life, knows when to be firm, holds herself and her staff to a standard of excellence, and treats you like her daughter more than her client. Receiving chiropractic care while in labor, which made all the difference! 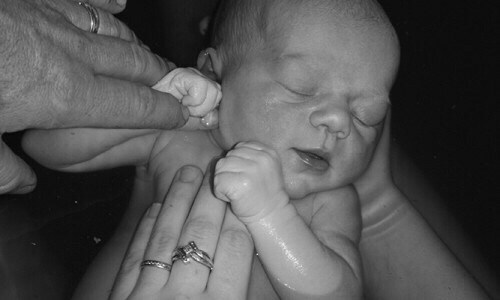 Being able to labor and birth in whatever way I was most comfortable and worked best for me, including a water birth. No pressure to be induced even when well past my due date, no one breaking my water prematurely, telling me when I can or cannot push, confining me to any particular position, forbidding me food or water, pressuring me to take drugs, or limiting my mobility in any way. Being trusted to naturally respond to what my body is telling me. Never taking our eyes off our baby from the moment she was born to when we went home. Getting to watch the very thorough newborn exam. Receiving a detailed explanation of the placenta (which I never even got to see with my other births). The incredibly soothing post birth herbal bath! The difference in this birth and my previous births was obviously not in the baby. All my babies’ births were beautiful and amazing, because they are all my precious babies! However, Rhema’s birth is most vivid in my memory, because it was the one in which I felt the most raw emotion, relief, joy, victory, and redemption! The difference was in me, the people around me, and my surroundings as a whole. There was no point when I felt I could not do it. There was no point where I was afraid. I looked forward to it! It was intense, but that made the outcome so much sweeter! I thank God for bringing us to All About Babies to make it happen!